How do I get access to a specific application on this site? My username and/or password doesn't work – who do I contact? I can't remember my username and/or password – who do I contact? Who provides training on these applications? What web browsers are supported by the VCH–PHC extranet? How do I access to a specific application on this site? Every effort has been made to ensure that authorized users have been contacted with their log–in details. If you believe you should have access to a specific application and you have not received your log–in details, please go to the Contact page, select the application name and send an email to the respective application support team. Through the Contact page, please send an email to the specific application support team. 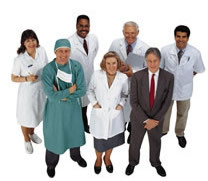 Each application has a clinical or business "owner". Through the Contact page, please send an email to the specific application support team. What web browsers are supported by the VCH–PHC Sessions and OnCall? Internet Explorer 8 or newer, Google Chrome, Firefox, and Safari are the supported web browsers for Sessions and OnCall. © 2015 Vancouver Coastal Health / Providence Health Care. All Rights reserved.